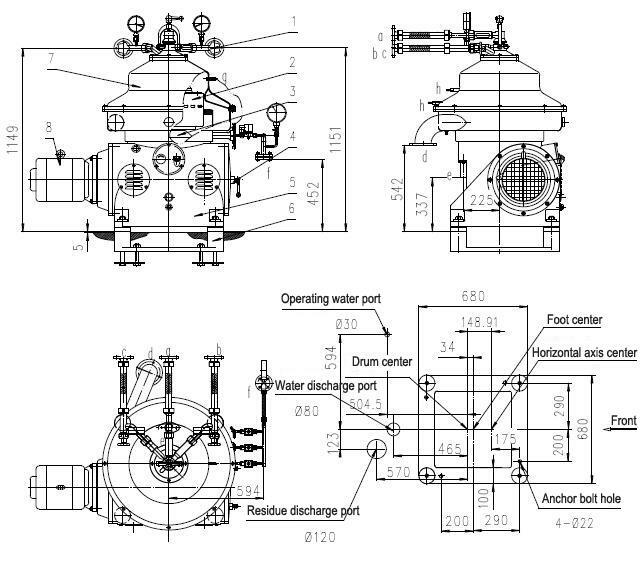 The PBDSD30 incorporate the very latest developments in centrifuge construction. 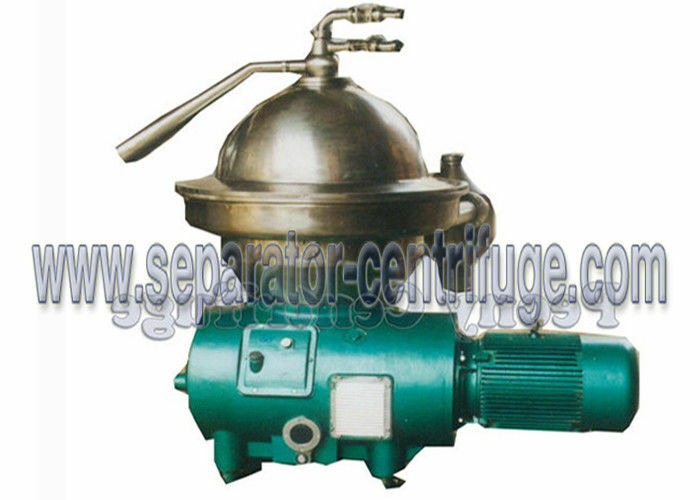 The centrifuge is specially designed for use in the production of biodiesel and is particularly suitable in separating of glycerol from methylesters after esterification and transesterification reactions. 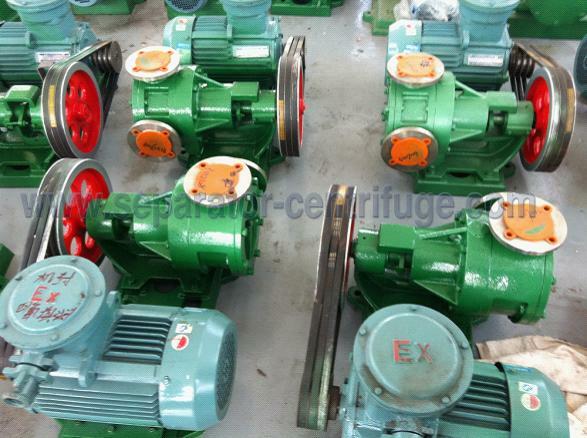 The design conforms to a number of GB JB/T8103 (national standards) directives, and machine is made in accordance with the general directives formachinery. Fig. 1 shows disc separator. 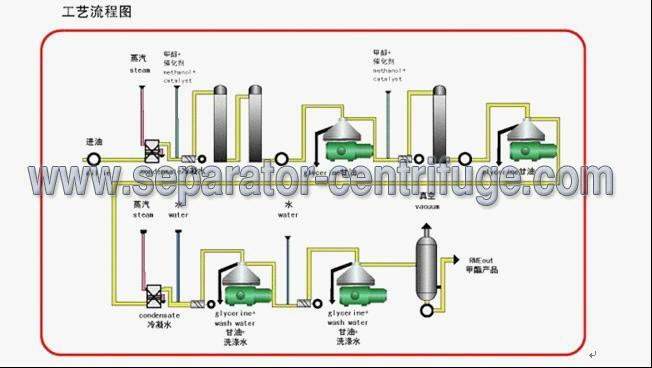 The product flows through feed pipe (1) into the bowl and is separated into light and heavy liquid phases in the disc stack (11). 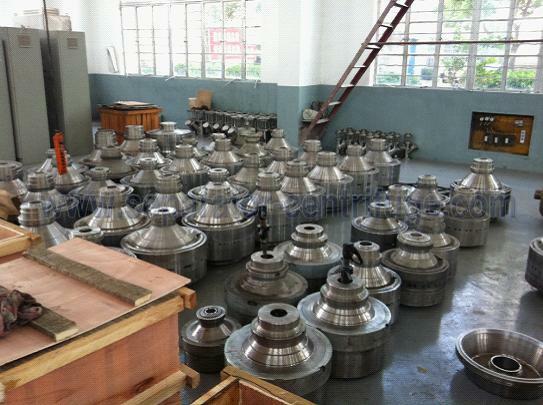 The light liquid phase flows to the centre of the bowl from where it is discharged by centripetal pump (6). 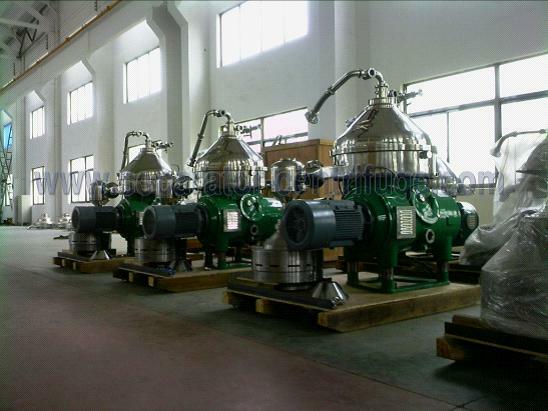 The heavy liquid phase is conveyed under pressure to centripetal pump (7). 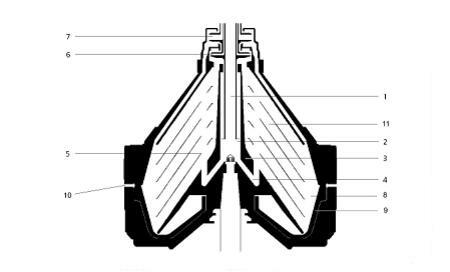 The separated solids are collected in the sediment holding space (8) from where they are instantly ejected at periodic intervals through ports (10) by means of the hydraulically operated sliding piston (9), whereby the closing liquid is feed through valve. The ejection cycles are initiated via the control unit.